This is an easy dessert recipe for Chocolate-Glazed Baked Doughnuts. Because they are baked, not fried, these doughnuts are great way to cut fat and calories but still enjoy their chocolatey goodness. 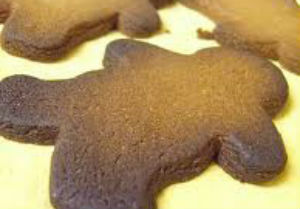 They are also much easier and faster to make than your regular doughnut recipes that require some time for resting to let the dough rise. 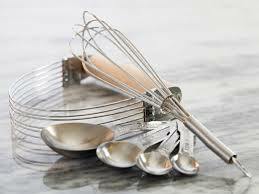 Mix together flour, sugar and baking powder in a bowl. Make a well in the center and stir in milk, butter and egg. Mix until smooth and well-incorporated. Spoon batter into a sealable plastic bag. Cut 1 corner to make a hole. Pipe into doughnut pans and bake in a 375 degree oven until the bottoms are just golden (8 to 10 minutes) or until a skewer inserted into doughnuts comes out clean. Take out of the oven and set aside to cool. 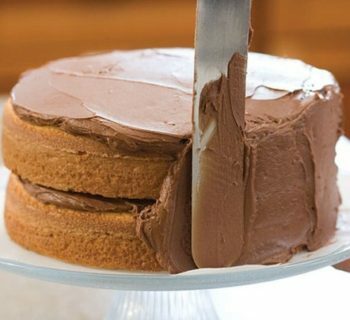 To make the chocolate glaze, stir chocolate and cream in a saucepan over medium heat for 5 minutes or until smooth. Set aside for 20 minutes to thicken slightly. 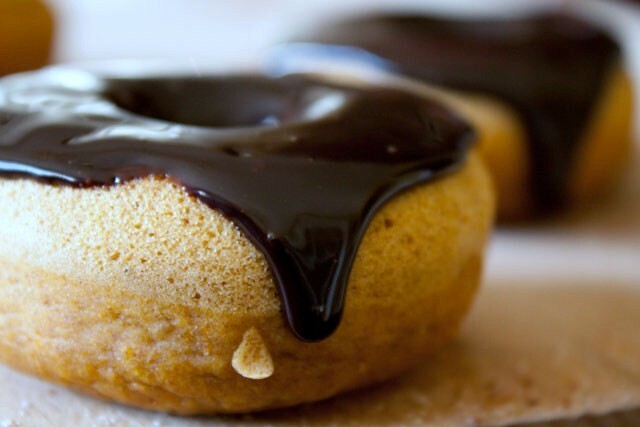 Remove doughnuts from the pan and dip the light-side into the chocolate glaze. Place, glaze-side up, on a rack to set.